I’m stoked to announce that the project I’ve been working on for the last year is out this week—and you can play the demo now! Watch the trailer… it’s awesome! Welcome to Mars, where one last safecracking job could nab you enough platinum to last a lifetime. But how will you pull off your heist? Do you hack into the vault, blast your way in, or finesse the locks? Can you trust your misfit team of grifters and con artists? Can they trust you? 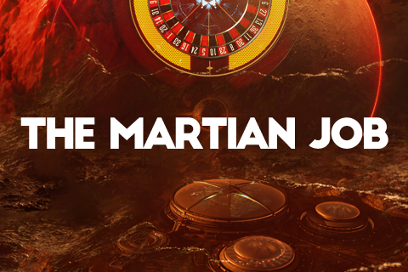 The Martian Job is an interactive text game where you create your own character to act as the protagonist. Find out more and play the demo now at Choice of Games.